Katherine Grier is a Colorado native born in Boulder Colorado and raised in the Denver Metro Area. 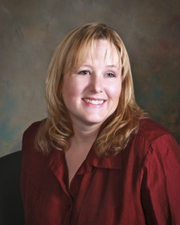 Kathi attended Arizona State University for her undergraduate degree in Justice Studies graduating in 1992. After graduating from ASU, she worked with mentally ill adults in a rehabilitation program focusing on helping individuals rebuild their lives. Kathi returned to Colorado to attend law school at the University of Denver in 1996. She was actively involved in moot court competitions and was a member of the University of Denver Trial Competition team. She graduated in 1999 and started her own practice, focusing primarily on family law. Kathi is licensed to practice law in Colorado and the United States District Court for the District of Colorado. Rate and review Law Offices of Katherine Grier in Denver, CO, United States! Share your experiences at Law Offices of Katherine Grier with your friends or discover more Lawyers in Denver, CO, United States.